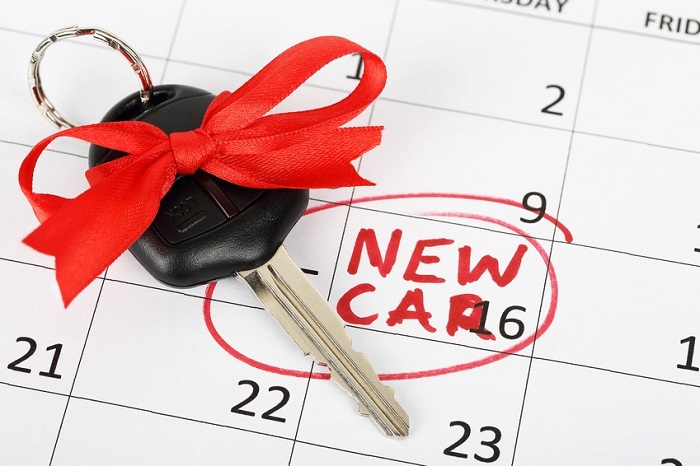 If you want to lease a new car, now's the perfect time to visit Keyes Toyota. We're celebrating the Season for Leasin' and Toyotathon, which means new offers for qualified drivers. If you're in the market for a dependable Toyota model, we think that you'll find something to be excited about. Here at Keyes Toyota, we aren't just a car dealership. We also consider ourselves to be a big part of the community in Los Angeles, Van Nuys, and the surrounding areas. That's why we give back to many local organizations, including children's hospitals, schools, and more. One way we give back during the holiday season is by holding a toy drive. No matter what their family's financial situation is, we don't want any kid to go without presents this year. When you visit our Toyota dealership serving Los Angeles, you'll find plenty of capable new cars, trucks, and SUVs. If you're shopping for a vehicle, you don't have to limit yourself to just our selection of new models though. Here at Keyes Toyota, we also offer a variety of pre-owned cars. 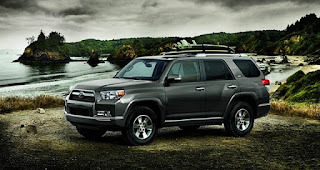 These models offer many of the features you're looking for, along with the dependability that the Toyota brand is known for. Here at Keyes Toyota, we're always excited to see a new vehicle or concept make its debut. The Los Angeles Auto Show just passed, which means some of the latest innovations from the Toyota brand showed up right in our back yard. One concept that attracted a lot of attention was the Toyota FT-AC. This rugged crossover is designed to go off-road. No one likes to see cosmetic damage on their vehicle. Here at Keyes Toyota, we know that our customers do everything that they can to keep their cars, trucks, and SUVs in great shape. That's why we're also a fully-equipped Toyota service center that can help you fix any damage to your vehicle. If you've noticed something wrong with your 2018 Toyota Camry or 2018 Toyota RAV4, know that we can assist you and help your vehicle look like new again. It's an exciting time here at Keyes Toyota. Our Nowvember sales event is going strong all month long. Now's the perfect time to buy or lease a new Toyota car at our dealership. 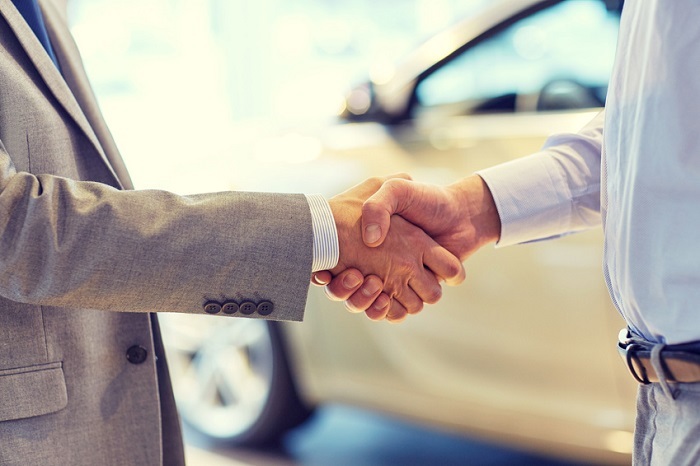 Whether you're shopping for a new sedan or the perfect family car, we'll help you find what you're looking for. We've recently highlighted some of the newest vehicles that have arrived on our lot recently, but we're not done yet. The 2018 Toyota Camry is now available at Keyes Toyota. Drivers in Van Nuys area will appreciate the unique features and driving experience that this sedan has to offer. The new model year is here, which means new versions of your favorite Toyota vehicles are arriving at our dealership. One model that we're particularly excited about is the 2018 Toyota Corolla. This new sedan is more stylish than ever, and it offers the in-car technology and safety features you're looking for. 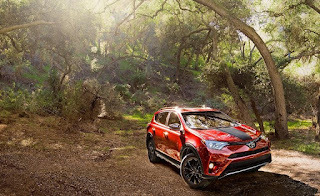 Here at Keyes Toyota, we always love to see a new concept vehicle in action. It shows us where the Toyota brand might be heading and what kind of new Toyota cars could eventually make their way to our dealership here in Van Nuys. Now we've heard that new models in the Concept-i series will show up at the Tokyo Motor Show, and we're interested in seeing the future of mobility and electric vehicle tech. If you've been paying attention lately, it's obvious that SUVs are having a moment. More drivers are going for capable crossovers like the 2018 Toyota RAV4 because they want more cargo space or room for passengers. Here at Keyes Toyota, we've kept a close eye on this trend and make every effort to find the perfect SUVs for our customers. We also pay close attention to recent news about the Toyota brand and one story stood out. The Toyota Tj Cruiser concept recently made its debut, and this is one interesting small SUV. Here at Keyes Toyota, we make it easy for all drivers to find the perfect vehicle. We also do all that we can to give back to the local community here in Van Nuys. One way we do that is by offer a military rebate to all United States military personnel. If you're shopping for a new Toyota car in the Los Angeles area, make our dealership your first stop. If you're anything like all of us here at your local Toyota dealership near Los Angeles, you're always excited to see what kind of new technology is coming to your favorite vehicles. Whether you're looking for advanced safety features or useful in-car tech, there's always something new to expect from the Toyota brand. 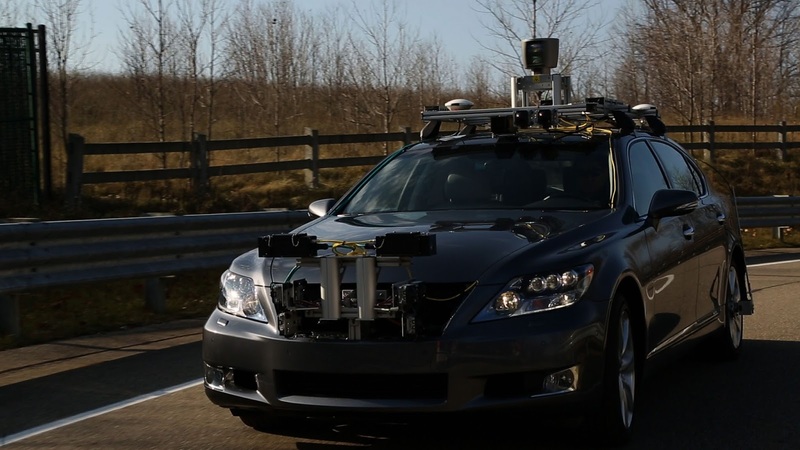 One area that automakers are focusing on these days is self-driving technology, and recent news shows that Toyota cars won't be left behind in that regard. Usually when we think about future cars, we think about concept cars. However, not every idea appears fully-formed; many times, something is patented only to appear years — or even decades — later. Recent patent filings from the Toyota Motor Corporation hint at new features we may one day see in new Toyota cars at Keyes Toyota. Looking for a new car in Los Angeles, Glendale, or North Hollywood? Keyes Toyota is the place, and the time is now. 2018 models are coming in now, with many more to follow in the weeks ahead. Three models are in stock right now — one of the company’s most popular, a promising newcomer, and an old standby that goes above the call of duty. The transistor may be one of the most important inventions of the 20th Century. A simple, and small, switch could replace the bulky and problem-prone vacuum tubes found in early radios and computers. Your home, your car, and your pockets all have many descendants of the first transistor that was shown to the public back in 1947. 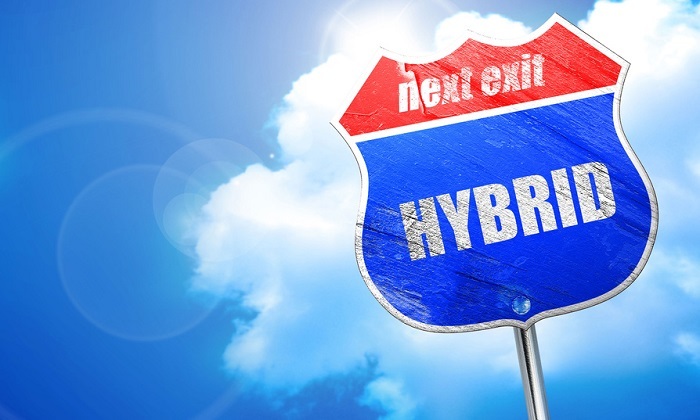 Something just as revolutionary is coming to Keyes Toyota in the not-too-distant future. The decision between competition and collaboration isn’t always an either/or. That’s underscored by a recent announcement by Toyota Motor Corporation and Mazda Motor Corporation. Even though both remain competitors, they’ll be sharing research and development — and even a manufacturing facility here in the States — in the years ahead. Keyes Toyota takes a closer look. The 2008 recession left deep marks on the economy and changed how many people — around the Los Angeles metro area and across America — approach our finances and our purchases. 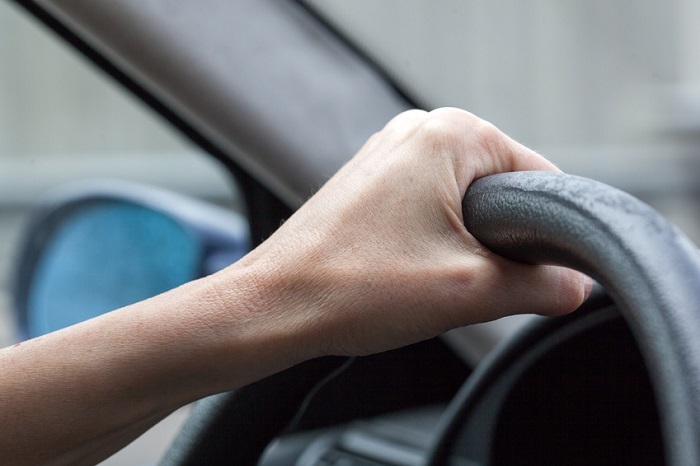 One habit that’s stuck with many of us from that time is that lots of people are hanging onto their older vehicles longer. 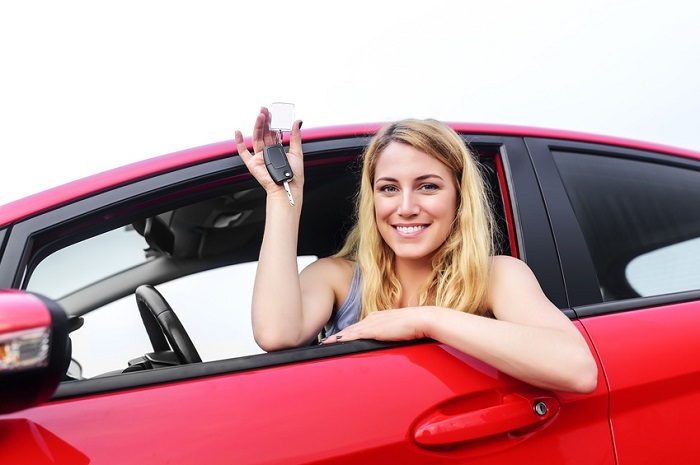 If you bought a Toyota car or SUV from Keyes Toyota in 2007 or earlier, you may well be very thankful right now. If you think that Los Angeles car shoppers love their Toyota cars, you should know they’re not the only ones. For years now, cars like the 2017 Toyota Corolla and Toyota Camry have topped lists of the most-stolen cars. If that statistic gives you pause, don’t worry; just be proactive. There are ways to keep yourself and your Toyota vehicle safer. Some cars — the Toyota Camry comes to mind — sell in enormous numbers. Other cars reveal their charms only to a select few. 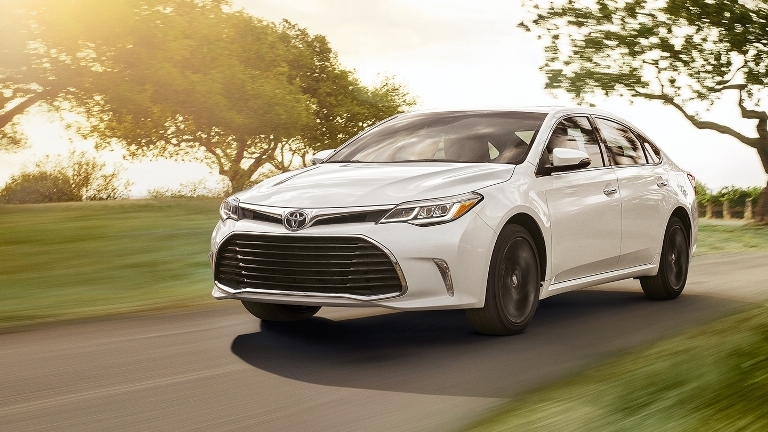 The 2018 Toyota Avalon, coming soon to Keyes Toyota, falls firmly into the latter category. Yes, they still make some things like they used to, with understated style and luxurious amenities (but minus a shocking price tag). 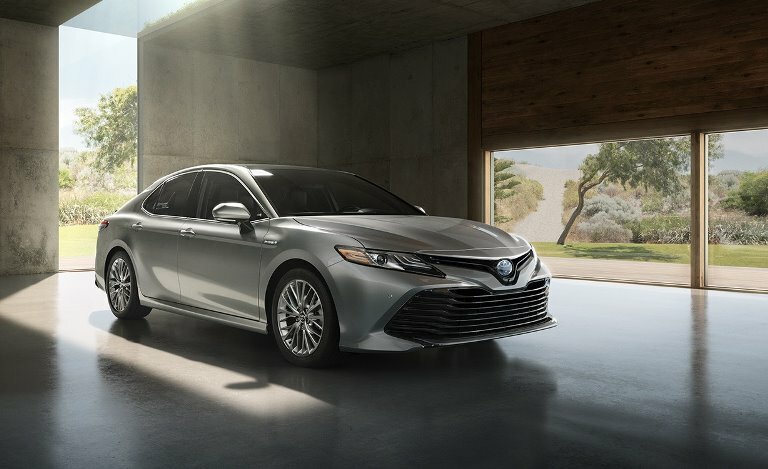 There are many changes coming to the 2018 Toyota Camry. You won’t even see one of the most important ones when you visit Keyes Toyota. Even though it’s unobtrusive, AGL is no less important for that. What is it, and what does it offer Los Angeles car shoppers? If the all-new 2018 Toyota Camry were the Toyota Motor Corporation’s only new Toyota vehicle next year, the Japanese carmaker would still be having a very good year. 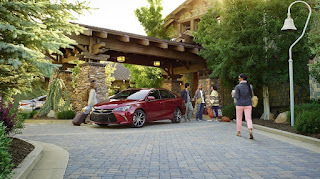 The Toyota Camry leads car sales year in and year out, and the upcoming model is the best we’ve seen at Keyes Toyota yet. For as long as there have been cars, inventors have been trying to make their vehicles more fuel efficient. Electric cars and hybrids date back more than a century, but it took the Toyota Motor Company to make hybrids viable with the Toyota Prius in 1997. 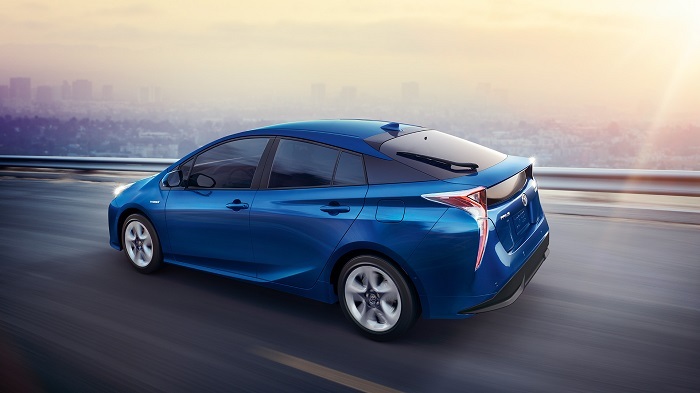 If you’re looking for a new “green” car near Los Angeles, Keyes Toyota has more options than you may have realized. This week, we’re continuing our preview of 2018 Toyota models with two new trim levels that promise fun and adventure for Glendale drivers. The models listed below won’t be available at Keyes Toyota ’til later this year, but we think each will be well worth the wait. With 2017 halfway over, we’re getting to the time of year where the 2018 Toyota models are due to arrive in force. This week and next, we’ll be previewing some of the best of what’s ahead for shoppers of our Los Angeles area Toyota dealership. Here’s what’s coming to Keyes Toyota. Toyota cars are some of the best-selling in the world. 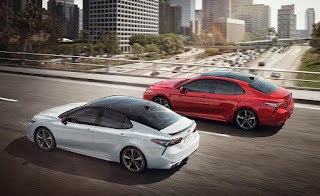 Indeed, the Toyota Camry and Toyota Corolla routinely rank at or near the top of global sales figures. But those sales numbers make it easy to forget another important fact: every year, about a third of the cars leaving a Toyota dealership lot are going to lessees. 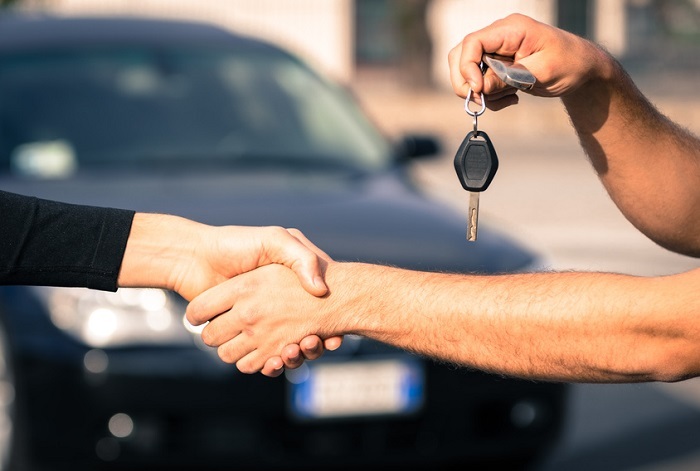 If you hold the lease on a Toyota car, truck, van, or SUV, Keyes Toyota can help make the end of the lease process easier. Keep the following timeline in mind if you're nearing the end of your Toyota lease. Will you buy out your current lease, lease another vehicle, or purchase another Toyota vehicle entirely? This is the right time to start thinking over that question. It's also about the time you'll hear from Toyota Financial Services. 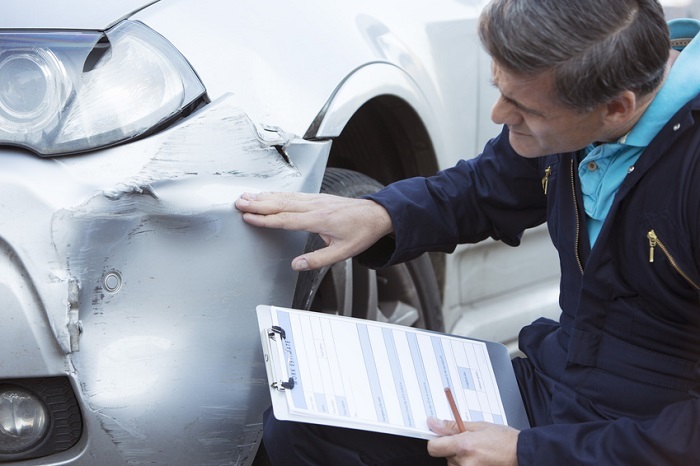 At the end of your lease, you may be charged for excessive wear and tear. This is a good time to bring your Toyota vehicle to the dealership for an assessment so there aren't any surprises later. Crunch time. 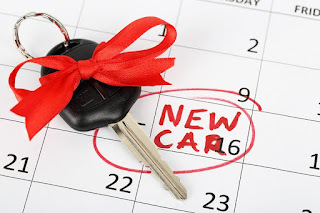 The last thirty days are when you'll want to make any needed repairs, contact Keyes Toyota about a return date for your leased vehicle, return it, and work out any remaining financial obligations that go with the end of your lease (and the start of the next one, if applicable). Loyalty incentives are available through Toyota Financial Services, often in addition to seasonal promotions and dealership incentives. We like having you as a customer, and we'd like to keep you around! Remember that you're not on your own. Your Toyota dealer near Los Angeles is here to help, whether it's answering your questions, helping you find your next new Toyota car, or figuring out financing. 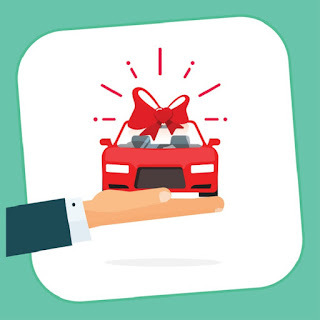 · Finally, don't forget that the service and Toyota finance departments are always at your disposal, whether you've leased or purchased through us, or bought your Toyota vehicle elsewhere. Visit us at 5855 Van Nuys Blvd in Van Nuys, CA. The Toyota Motor Company celebrates two major milestones in 2017. The first of these is the 80th anniversary of its founding, which came in August, 1937. The second is the 50th anniversary of the Toyota Corolla. To put the latter anniversary in perspective, 75% of the world's population has never known a world without the Toyota Corolla (lucky them). Needless to say, at Keyes Toyota we're proud to play our own small part in that history. The 2017 Toyota Corolla arrived at your Van Nuys Toyota dealership suitably "dressed" for the occasion. Not only is it redesigned, it also comes in a limited edition (only 8,000 built) in custom Black Cherry Pearl. Opt for the top XLE trim for a 7-inch touchscreen, Toyota Entune with navigation, keyless entry and start, heated front seats, and a power sunroof. Other trims offer their own particular perks, from the fuel economy of the LE Eco to the manual transmission and sporty performance of the SE trim. There are so many choices you're sure to find one you love! 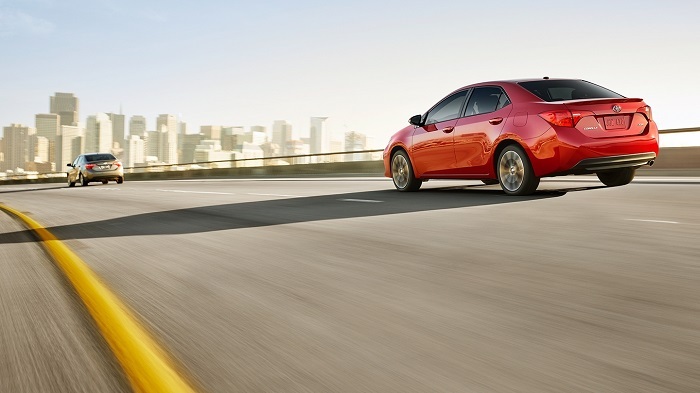 The Toyota Corolla is also one of the safest cars in its class. 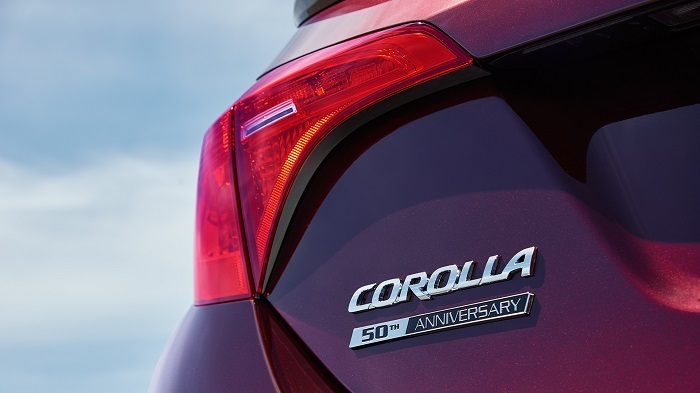 If you do something for half a century, you're bound to do that thing well, and the automaker has Toyota Corolla safety down to a science. 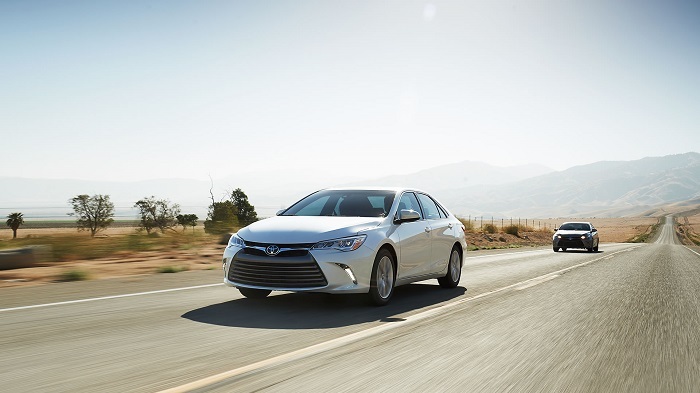 With strong uni-body construction, Toyota STAR Safety System, and Toyota TSS-P active safety features standard on all trims, it's no surprise that the car earns a five-star NHTSA safety rating and an IIHS Top Safety Pick Plus. Whether you're looking for your first car or you've lost track of how many new and pre-owned Toyota cars you've bought over the years, it's time to (re-)discover the charms of the Toyota Corolla. Visit Keyes Toyota today at 5855 Van Nuys Blvd in Van Nuys, CA to celebrate with us! 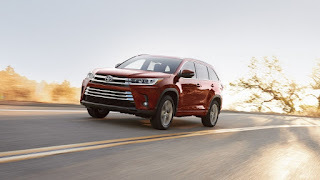 The Toyota Motor Corporation is responsible for delivering some of the most reliable cars, packed with some of the most innovative technology, in recent years. Your Toyota dealership near Hollywood, in turn, has a hand in getting those cars and that technology into the hands of the thousands of drivers we’ve served over the years. Because there are so many features available among so many models and trims, explaining all of it would take days of our time (and yours). Instead, we’ll focus on a few features that are particular favorites of the Keyes Toyota staff. Wires can be an unsightly distraction. Qi Wireless Charging, available in the upper trims of Toyota hybrid cars, eliminates the wires in favor of a wireless charging mat in the center console that charges your smartphone quickly. The Toyota STAR and Toyota TSS safety systems — the former standard on all vehicles, the latter standard on new Toyota cars starting in 2018 — give you unrivaled peace of mind. The systems encompass technologies like lane departure alert, blind spot detection, backup cameras, and dynamic cruise control. There’s no substitute for defensive driving, but these systems make your Toyota vehicle an active partner in ensuring your safety. Toyota Entune is a proprietary infotainment system that uses voice and touch inputs to control your Android or Apple smartphone, as well as putting a wide range of third-party applications at your fingertips. Real-time traffic and navigation, Pandora streaming audio, satellite radio, and more are all available through a high-resolution head unit that keeps everything in easy reach. Not all features are available on all models or trims. Your Toyota dealership by Northridge will have more details, and answers to any questions you might have about getting the most out of all this technology. To find out more, or to take a test drive, visit Keyes Toyota today at 5855 Van Nuys Blvd in Van Nuys, CA. New Toyota trucks are one of the industry’s best-kept secrets. 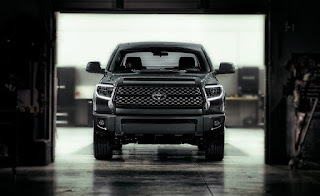 The Toyota Tacoma and Toyota Tundra are capable on and off-road, just as capable of handling heavy work as they are a fun weekend away. There’s a new Toyota truck on the road ahead that you won’t find at Keyes Toyota, but that’s already revolutionizing trucking around Los Angeles. The new Toyota truck isn’t a pickup. It’s a semi currently in testing in Port Los Angeles. It combines the lessons learned from Toyota pickup trucks with the same fuel cell vehicle technology that underpins the Toyota Mirai FCV. 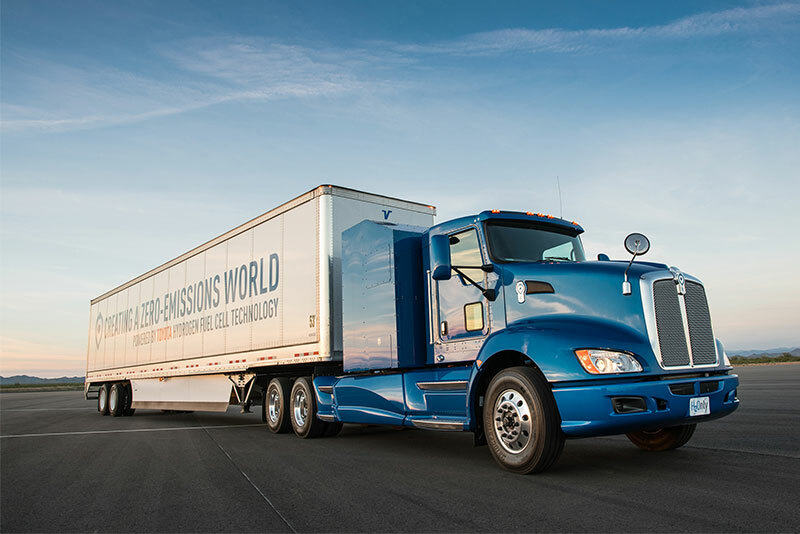 In short, the Toyota Motor Corporation is betting big on big rigs. The test program, called Project Portal, aims to eventually replace the hundreds of high-pollution drayage trucks currently used at the port with FCVs. They don’t sacrifice power, but they’re quieter, cleaner, and more efficient. Given that we already have Toyota trucks, forklifts, and other industrial-grade machinery (some of it through the company’s heavy industry subsidiaries like Hino), this is less of a stretch than it seems on the surface. Once the technology has proven itself, it’ll go from in-port intermodal transportation to wider use on the roads around Los Angeles and across the United States. You may not be shopping for a semi, but you should welcome this news anyway. Why? Because even the technology in a Toyota vehicle you don’t own will make its way to consumers at your Los Angeles-area Toyota dealership, and then be copied by other manufacturers, eventually. In the meantime, why not see the best the company has to offer right now? Visit Keyes Toyota at 5855 Van Nuys Blvd in Van Nuys, CA today. It seems like every other website nowadays offers “one weird trick” that’s a shortcut to making everything better. You’ll be skinnier, better rested, better looking… the difference between this trick and those others? Ours works. There’s a very simple way to get better performance out of the car you bought a few years ago at Keyes Toyota, or to keep your new Toyota car driving as well five years from now as the day you drove it off the lot. You don’t need to re-tune your engine, add body effects, or otherwise change your torque or horsepower. This could be one of the simplest and least expensive ways to make your car drive better. Ready? Not cheap tires, either. High-quality tires specified for your Toyota Camry or Toyota RAV4 and approved by Toyota Motor Corporation. It really is that easy. Here’s why: so much of how your car performs literally has to do with where the rubber meets the road. 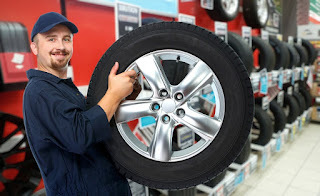 The added traction you get from tires that are appropriate to the season and that have good tread depth, proper inflation, and good alignment can make it feel like you’re driving a completely different car. That traction has other benefits, including better fuel economy and a better zero-to-sixty time. 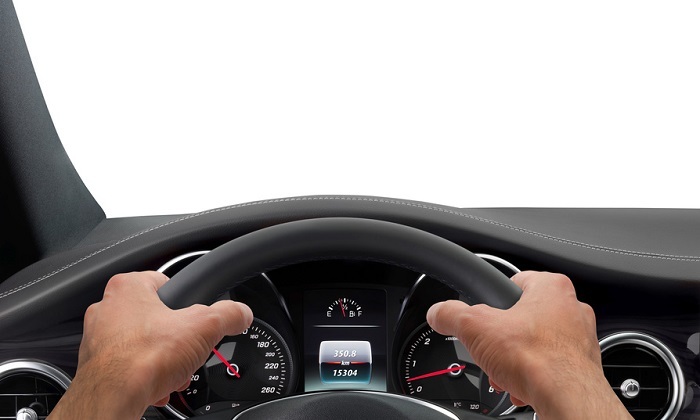 Beyond that, your car will handle better, and thanks to a shorter stopping distance, it’ll be safer as well. Sometimes all you need is a simple tire rotation and alignment. If you’re not sure, stop by your Van Nuys Toyota dealership for a checkup. 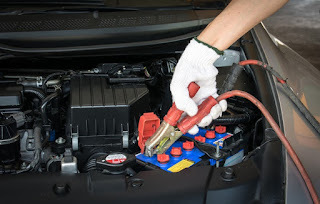 Our technicians will give your car a thorough inspection, and then make recommendations based on what they find. Not only will you get the right tires — with the right speed and load ratings for your driving habits — but you’ll also have them expertly installed. If it’s time for new Toyota tires, it’s time for Keyes Toyota. We’re located at 5855 Van Nuys Blvd in Van Nuys, CA. Stop by today! 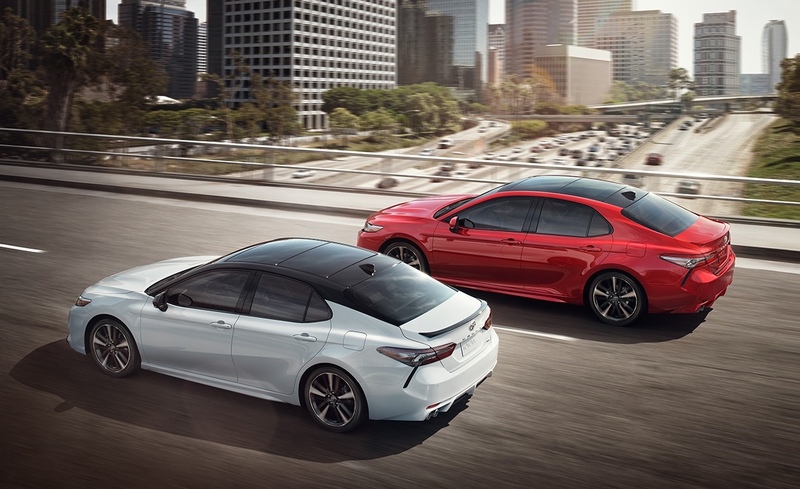 It’s a long way from Los Angeles to New York, but two new Toyota models are so close to Keyes Toyota we can practically taste it (tastes like glass, steel and vulcanized rubber, in case you were wondering). 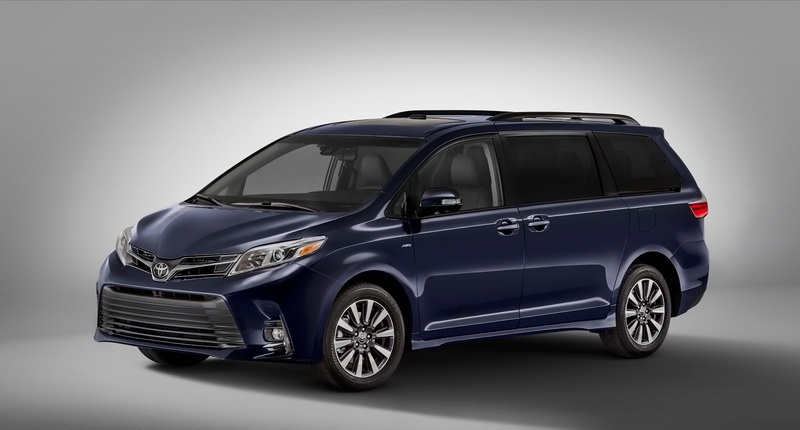 The 2017 New York International Auto Show will feature the new 2018 Toyota Sienna and 2018 Toyota Yaris alongside 2017 Toyota models. While the 2018 Toyota Sienna gets a mild exterior refresh, the bigger news comes on the safety front. The 2017 model already has a five-star NHTSA safety rating, and the 2018 model should be safer still. 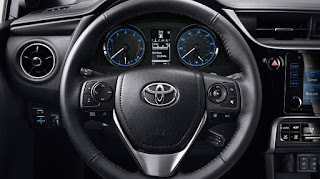 That’s thanks to Toyota Safety Sense (with dynamic radar cruise control, pedestrian detection with a pre-collision system, and lane departure alert with steering assist), which are now standard. Also new: the an upgraded Toyota Entune 3.0 infotainment system, which has optional features like WiFi Connect alongside standard App Suite Connect. 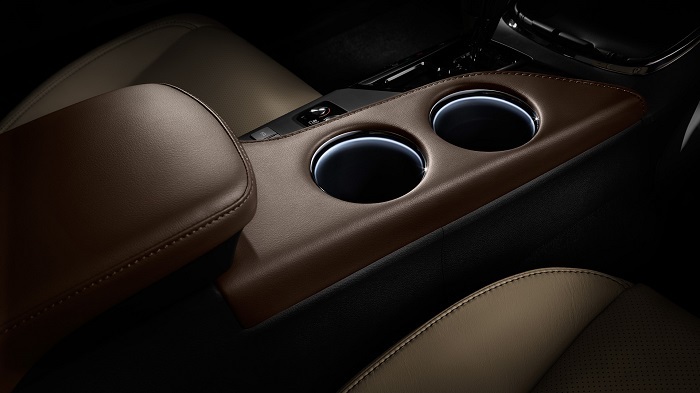 Opt for the higher trims and you can upgrade to a premium JBL Audio sound system. The subcompact 2018 Toyota Yaris also gets updated inside and out. All trims — the three-door L and LE trims, plus the five-door SE trim — get stylistic updates outside (chrome on the lower trims, piano black on the SE). Sixteen-inch alloy wheels are also new for the SE. Get inside and there’s even more. Depending on the trim, you’ll find everything from a new sport steering wheel to a new instrument panel and audio system. Toyota Entune finally comes to the Toyota Yaris, with drivers who opt for the SE getting Connected Navigation through Entune Audio Plus. Whether you’re considering the model year or the calendar year, 2017 is looking good, but 2018 could be even better. 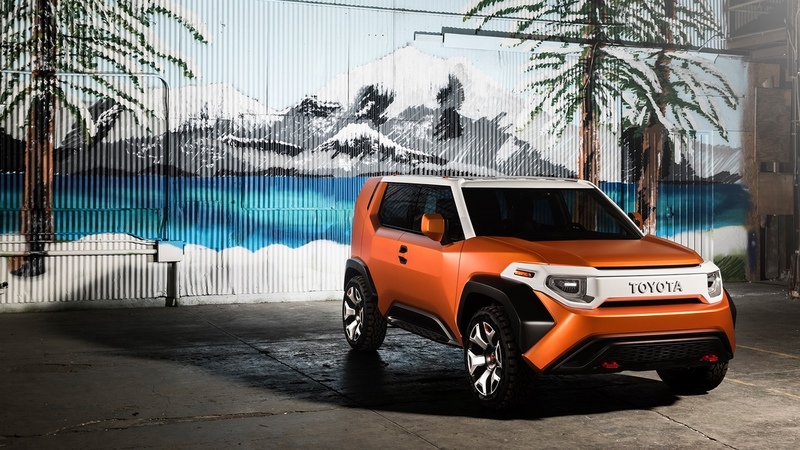 Even though these new Toyota models won’t arrive in Los Angeles ’til later this year, you can see the full lineup of Toyota cars, trucks, SUVs and minivans at the Keyes Toyota showroom. Stop by 5855 Van Nuys Blvd in Van Nuys, CA today! Van Nuys Toyota shoppers, rejoice… eventually. The Toyota Research Institute just announced a major ($35 million) initiative into electric battery research. 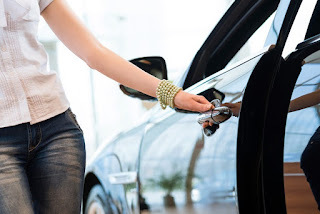 That should be welcome news to you, just like it is for all of us at Keyes Toyota. Here’s why. Fuel economy standards are getting more stringent worldwide. So are emissions standards. 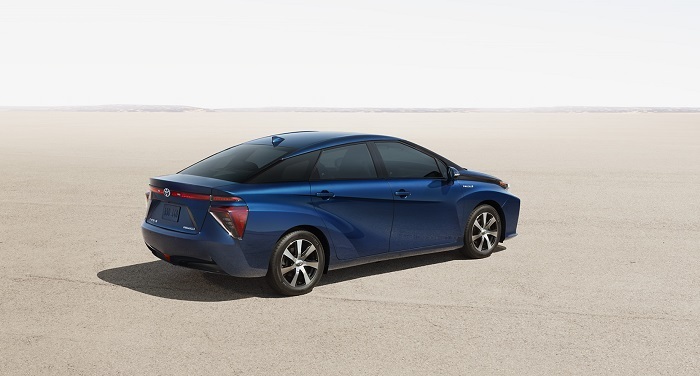 In order to stay ahead of the curve, the Toyota Motor Company is putting more effort into ZEV (Zero Emissions Vehicles) like the Toyota Mirai, which produces no CO2 emissions when it runs, as well as PZEV (Partial Zero Emissions Vehicles) like the 2017 Toyota Prius Prime, which produces emissions only when the gas engine is running. Because they rely in whole or in part on electric motors, they manage to stay ahead of both economy and emissions targets. But there’s another reason this initiative is important: the current battery technology in Toyota hybrid cars is about four decades old. The lithium ion battery pack is better than it was, but is still big, heavy, and is likely reaching the upper limits of its capacity. New designs and new materials (like magnesium) will lead to lighter, longer-lasting, higher-capacity batteries that are even better than what’s available now. The Toyota Motor Corporation has plenty of help in this effort. Besides the company’s TRI partners (Stanford and MIT), the’ve also enlisted the help of SUNY Buffalo, the University of Michigan, the University of Connecticut, and UK-based material science company Ilika. We’re used to cosmetic changes in new Toyota cars like the Toyota Corolla. But some changes point to something deeper — an evolution, if you will, of Toyota cars, trucks, and SUVs. To see where that evolution has taken Toyota vehicles, and where those vehicles can take you next, visit your Van Nuys Toyota dealership. Keyes Toyota is located at 5855 Van Nuys Blvd in Van Nuys, CA. Buying American? Buy a Toyota Car. Looking for a new car near Los Angeles? You won’t have any shortage of choices. 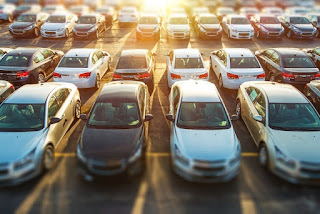 Everyone has different ideas about who makes the best new car, and their reasons for choosing one brand over another are usually pretty varied. If you specifically want to buy American, why not try Keyes Toyota? Many people specifically want a car built in the United States, and they tend to look at the usual American brands based in Detroit. Look a bit deeper, however, and the picture becomes more complicated. Nearly every manufacturer sources its parts from a variety of places, with lots of parts and assemblies done overseas. When US News and World Report analyzed companies’ supply chains and manufacturing, they determined the 2017 Toyota Camry is actually the most thoroughly American-made car. Even though Toyota Motor Corporation is based in Japan, it has a regional subsidiary, Toyota Motor North America, that’s based in Plano, TX. Regional offices, suppliers, dealerships, and factories are located from coast to coast in nineteen states. A recent study by the Center for Automotive Research* shows that the impact of Toyota R&D, manufacturing, sales, and service is far-reaching. Between direct employment, payroll and sales taxes, and supply chain employment, the impact of the Toyota Motor Corporation’s efforts are felt here in Van Nuys and in practically every other city and town in America. So if you want to buy American, visit your Toyota dealership near downtown Los Angeles and take a close look at the American-made 2017 Toyota Camry and 2017 Toyota Avalon. Keyes Toyota is located at 5855 Van Nuys Blvd in Van Nuys, CA. Stop by today! *"Contribution of Toyota Motor North America to the Economies of Nineteen States and the United States in 2015"
When it broke cover at the 2014 Frankfurt Auto Show, the Toyota C-HR turned heads... and then it promptly went back into hiding. After a lot of speculation and anticipation, it resurfaced again last year, this time as a confirmed production prototype. 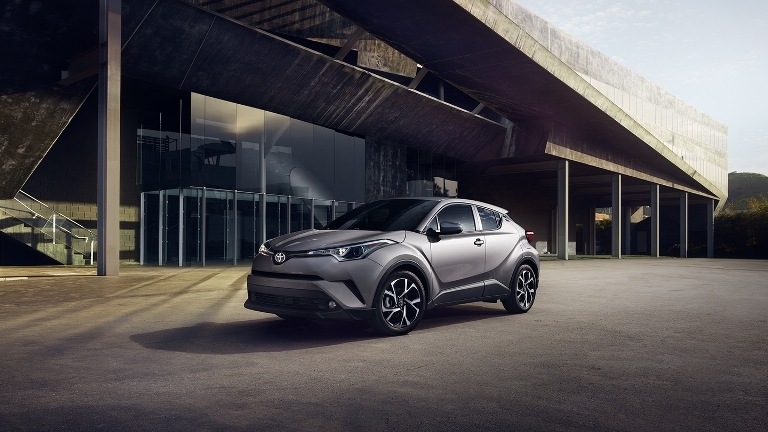 After so many delays, the 2018 Toyota C-HR will arrive at Keyes Toyota later this year. 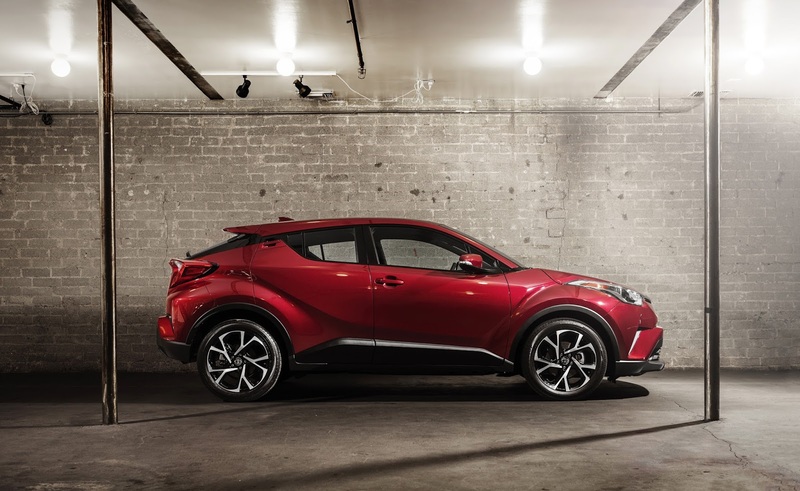 We're excited to offer this new Toyota crossover to our Glendale and Los Angeles customers. The model's name stands for Coupe High-Rider, which is a pretty apt description. Once you get past the ride height, what you're left with is an especially rugged-looking (and endearingly quirky) coupe. It's unusual for a crossover, in that there's no AWD available in the first year. What's also unique is that this is a "monospec" vehicle. There will only be two trims, each with a predetermined set of features. What you see is what you get. This is a similar approach to what we've already seen with the Toyota Yaris iA and the Toyota Corolla iM. Monospec doesn't have to mean monotonous. There will be plenty of technology stuffed into both the XLE and XLE Premium trim levels, including the Toyota Entune infotainment system, active safety and driver assist features, and a perky 144 horsepower engine. 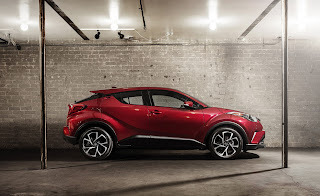 There's not a definite release date yet, but we expect to see the first Toyota C-HR arrive at 5855 Van Nuys Blvd in Van Nuys, CA sometime this summer. 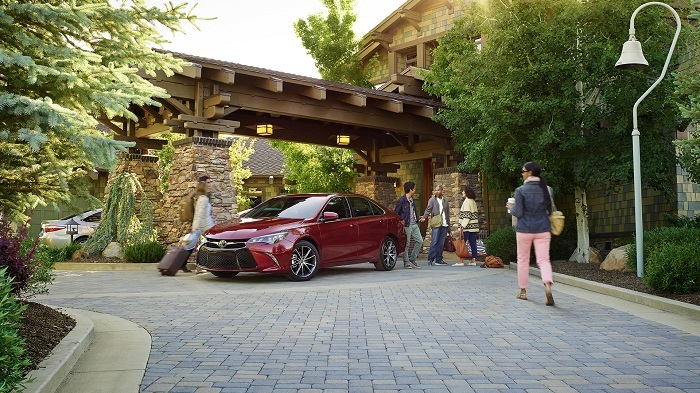 The Keyes Toyota staff is excited for the new arrival, and we're sure that our customers from Los Angeles and Glendale will like what they see, too. Visit us today to find out more, or to test drive a new Toyota SUV! Usually Keyes Toyota is excited to report on new Toyota vehicles we'll be able to offer soon to our customers in Glendale and Los Angeles. The Advanced Active Safety Research Vehicle (AASRV) will never see the inside of a showroom, but we're no less excited for that. This obscure car is the only one of its kind, and in its second generation it could be the most important vehicle on the road right now. The AASRV came out right before the 2013 Consumer Electronics Show. It was a bit odd-looking, thanks to its arrays of HD cameras, LIDAR, GPS, and proprietary technology. It signaled to the world exactly how serious the Toyota Motor Corporation was about self-driving cars. 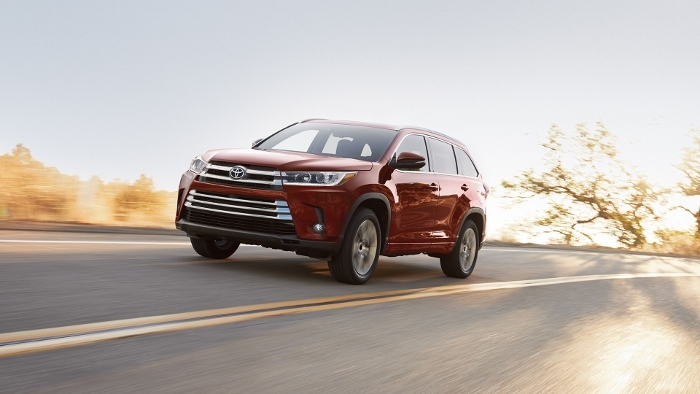 The years since have seen the R&D carried on with that unique car filter down to everyday cars like the Toyota RAV4 and Toyota Camry in the form of innovative active safety features. Those safety features haven't just earned multiple Top Safety Pick Plus ratings from the IIHS. They've kept drivers safer. The next-generation AASRV is the first "product" from the Toyota Research Institute, a billion-dollar initiative launched last year to research and develop new car technology. Like its predecessor, it's built on a Lexus LS 600 borrowed from the company's luxury car division. It uses many of the same kinds of technology. The difference is that this time, everything is modular (so components can be changed as new ones are developed), smaller, and more advanced. The new AASRV will be used for two categories of research, named Guardian and Chauffer. Guardian is a set of semi-autonomous driver assist features that will be the next evolution of current active safety features. Chauffer is the next big step toward fully-autonomous cars. A fully self-driving car is some way off still. The technology developed by TRI in the AASRV is closer to Glendale and Los Angeles than you might think. It's right here at Keyes Toyota. To find out more, visit us today at 5855 Van Nuys Blvd in Van Nuys, CA. What's a TCO? We're glad you asked. 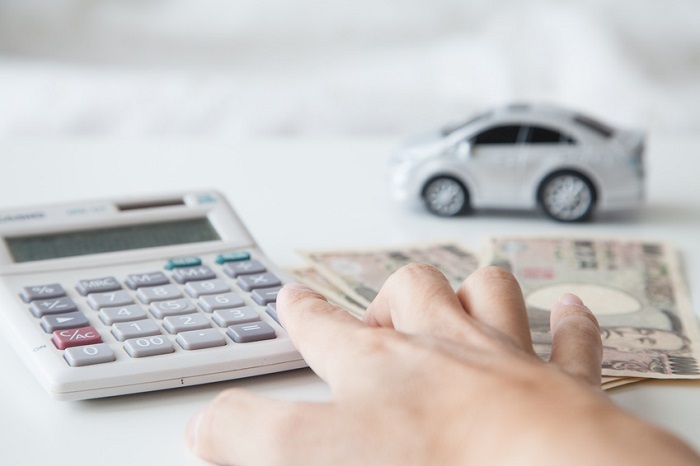 It's "Total Cost of Ownership," a metric that takes into account not just the price of a vehicle, but also all the other costs that go into owning and operating it. It's important to understand if you're trying to be smart with your money (and these days, who isn't?). Keyes Toyota shows one more way that Toyota vehicles outperform. When most people shop for a new car in Van Nuys, they're looking at the sticker price alongside the usual concerns about body style, trim levels, and options. There's nothing wrong with that, but we'd suggest taking a deeper look. TCO helps you do that. Usually calculated on a five-year basis, total cost of ownership accounts for fees, insurance, fuel costs, and the cost to maintain or repair your vehicle. 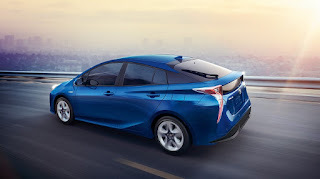 The fact that two of the winners (the Toyota 86 and Toyota Prius Prime) are new vehicles speaks to the long track record of reliability and low ownership costs for Toyota cars. That let KBB extrapolate a lower TCO than they might otherwise do for a less-dependable brand. What should be your takeaway? First, if you're buying a new car, don't just look at the sticker price. Second, if you're buying a new Toyota car, look for a Toyota dealership that takes care of the total ownership experience. That's what you'll get at Keyes Toyota. To find out more, visit us at 5855 Van Nuys Blvd in Van Nuys, CA today.